With the 2019 World Cup nearing and the Proteas’ middle order not in particularly good shape during the ongoing ODI series against Pakistan, questions over the timing of De Villiers’ decision have resurfaced. The talismanic right-hander is currently involved in the Bangladesh Premier League – and recently struck a masterful century for the Rangpur Riders against the Dhaka Dynamites to remind Proteas fans of what is absent. He will join the Lahore Qalandars in the Pakistan Super League next month and the Royal Challengers Bangalore for the Indian Premier League later this year. The 34-year-old has also expressed an interest in playing in The Hundred- the England and Wales Cricket Board’s new limited-overs tournament. Another Caribbean Premier League stint and maiden inclusion in Australia’s next Big Bash League aren’t necessarily out of reach, too. While these domestic tournament jaunts across the world haven’t regained the respect of naysayers, De Villiers must be credited for fashioning his new world order. West Indian Chris Gayle epitomises the Twenty20 globetrotting lifestyle that De Villiers is starting to lead. England virtual exile Kevin Pietersen has done the same. 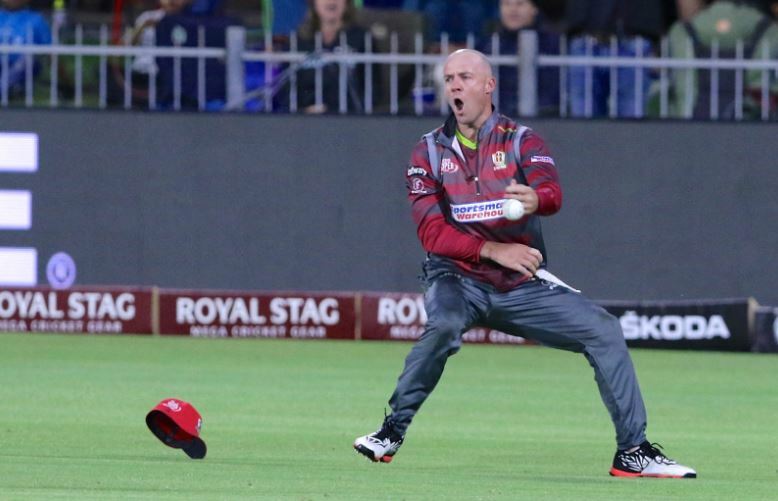 Importantly, De Villiers has openly spoken about his ambition to continue contributing to the Titans’ cause – and did participate in South Africa’s inaugural Mzansi Super League late last year. His comments attest to the fact that he hasn’t switched off from South African cricket entirely, and his actions will hopefully follow support those words, whereas Pietersen’s didn’t really and Gayle’s largely don’t. De Villiers, too, is showing other South Africans an alternative path. 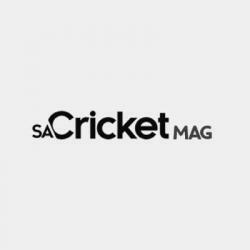 Fast bowler Hardus Viljoen, who played one Test before signing a Kolpak contract, has since ended his arrangement with Derbyshire to presumably pursue a Twenty20 freelance career. International and county competition representation used to be career bastions for cricketers pushing for highest honours. This is no longer the case, exemplified by Viljoen’s choices to leave the Proteas and later Derbyshire. 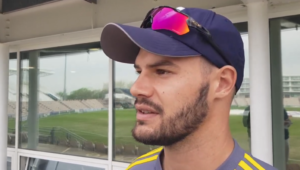 Viljoen was with the Northern Warriors in Sharjah’s T10 League last year – and will represent the Kings XI Punjab in the 2019 IPL. He will have to work a lot harder for foreign T20 contracts than De Villiers, but his path will be a similar one albeit at five years younger, and much further removed from the twilight of his career than the former South African captain. Others nearing the end of their international careers, perhaps unable or unwilling to truly solidify obvious selection, will be encouraged by De Villiers and Viljoen’s actions. There is plenty of opportunity knocking on the global stage, even if national popularity may not.